We offer Design, installation and Maintainence of Sustainable Food Systems Utilizing Aquaponics. The combination of Aquaculture and Hydroponics provides the ability to grow not only your own vegetables but also your own protein source. This natural symbiotic relationship cleanses the water by converting fish waste into beneficial Nitrates and Nitrites that enable your vegetables to thrive. By growing Local and Sustainable we are protecting the very limited resources that we as humans have here on Earth. What better gift to give to your future generations than fresh air, clean water and sustainable fresh food? These are not secrets and there are plenty of DIY systems out there. 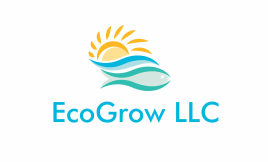 EcoGrow LLC provides beautiful systems that can be integrated into your landscape in a way to provide a natural and calming environment while having the added benefit of vegetable and food production.